Happy Wednesday everyone! I am coming off a high of a great race last weekend and then this morning seeing two different Instagram posts that just got me fired up. Fired up in a good way. Last weekend my husband and I both ran the Sunshine Run 10K here in Austin. Last year, I only ran the 5K. I had never run a 10K race but have run 2 half marathon's between last year's Sunshine Run and this year's. I am ALWAYS a little anxious for races; some more than others. I can be snappy to B with "Hurry up and park. Get your stuff and let's get to the start line!" I don't mean it at all. It's all the adrenaline, and he knows it. I mean, I cried before my first half because I was legit scared and because I couldn't believe that it was actually happening. I've said it once, & I'll say it again...the man is a saint for putting up with me. I am the first to admit that I am not fast. I am not out to be first, second or third. [Side note: Yes, I would love to get there someday maybe, but right now, it's about me.] I am out to race against myself. To be better than what I ran in the race before. 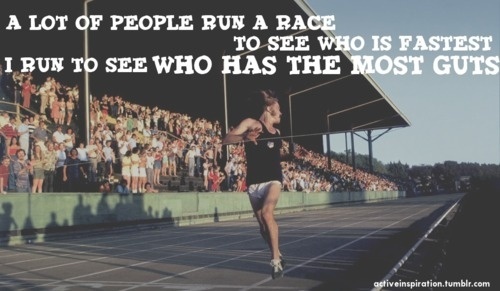 Every race gets better and better. This past race, I had under a 10 minute mile the entire time. This is huge for me. I am usually always pretty comfortable around 9:30-10 minute miles. But to be under it the entire time, and having to walk up a steep hill partially, I was STOKED. This was a PR for me. I am not sure that some people understand fully what that means. I run because I love the adrenaline I get on race days even if I can be crab before the start gun goes off. I run because I love breakfast tacos a little too much. But first and foremost, I run to be better than the runner me before. Second thing I am fired up about this morning....race pictures. One of my most favorite runner Instagrams is "MilePosts." She always is so upbeat, so encouraging, and so REAL.Go follow her if you aren't already. She posted this morning comparing 2 pictures from 2 different races. Her post was to show the difference in her legs - one picture with cellulite and one picture with toned legs. A lot of us get so caught up in posting the "perfect" picture because that's what social media has turned into these days. I am definitely victim to this. It is my wish to encourage EVERYONE who's out there getting after it. 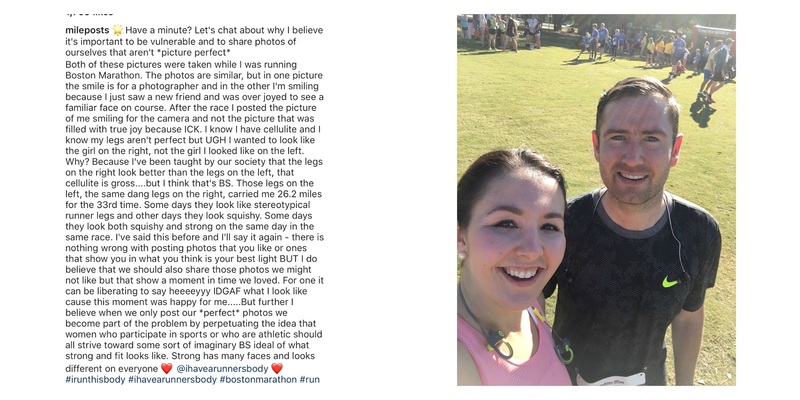 Post your pictures no matter what race you did, how you placed, or how gross/sweaty you may feel. YOU. EARNED. IT. I always get so excited when I see someone out there. You can tell they're uncomfortable. You can tell that it hurts them. You can tell that they'd just rather not be out there. I always get a huge smile on my face and make sure they know they are doing a great job. I passed runners this weekend who I was just SO excited for. "GET AFTER IT GIRL!" "You are a doing a great job!" "Keep it up!" Let me tell you, it goes a long way. When you want to quit and someone is there noticing how hard you're trying, the encouragement goes for miles. No pun intended. 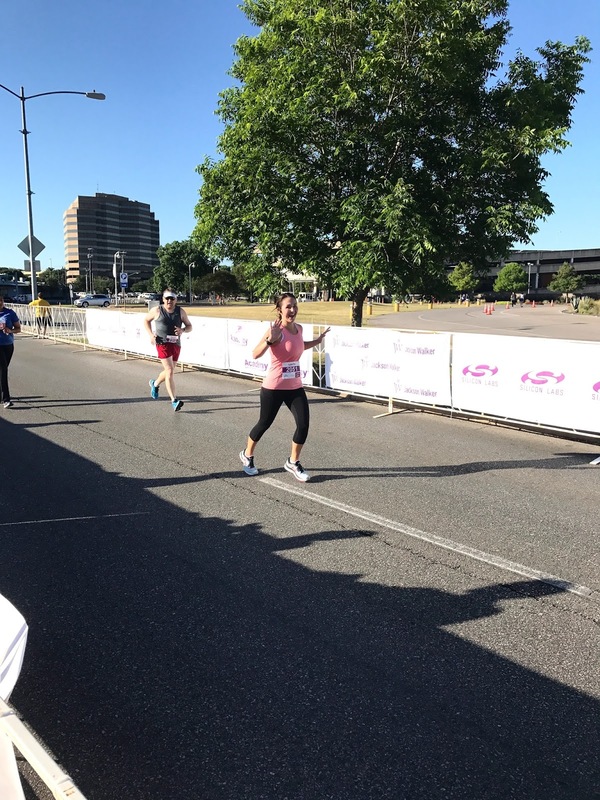 So if you are thinking about starting to run or maybe you are running, but you aren't ready to take the next step and sign up for a race, do it! I know it's hard. I know it's scary. I know you might feel like you are the only one out there just busting your a** to get a mile in, but I am PUMPED for you. I will be your biggest cheerleader. If you are in Austin, I would love to run with you. I would love to race with you. I would love to encourage you. I am not a professional runner by any means. I am just excited for you to get out there and try your best...at whatever it may be. Be a better you than the day before. We all start somewhere. 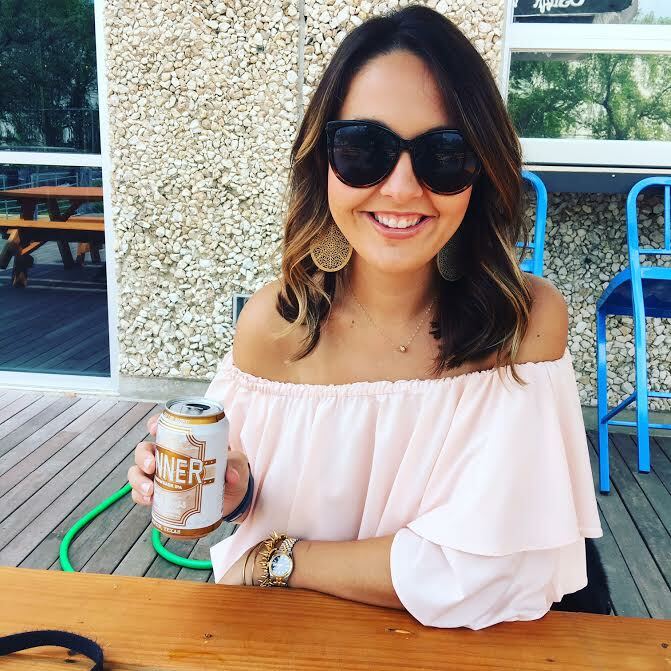 Five On Friday -- BFFs Wedding Recap!